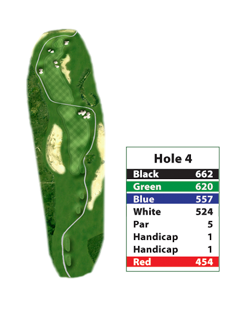 This long, demanding par 4 will start to separate the field. Play your drive left of center as the ball will kick right, but don’t go to far right. The deep green slopes from back to front. 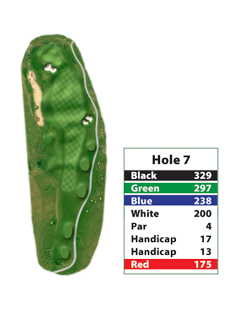 This medium length par 4 sets up your round. The hardest shot in golf is a straight tee shot, and you need one here. Fire straightaway! The second shot requires accuracy too, as bunkers guard both sides of this severely sloped green. Grip it and rip it! Don’t leave anything in the bag here. Even John Daly can’t reach this one in two. Make sure your drive is in the fairway. Proper club selection on the severely uphill approach shot is a must. 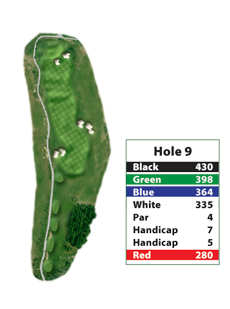 This tremendous hole is truly a three-shotter! Finally a semblance of relief! 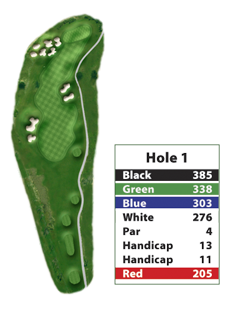 Hole location will determine how to play this long par 3. When the pin is back left, play to the middle of the green. However, you can be more aggressive with a front or middle pin location. 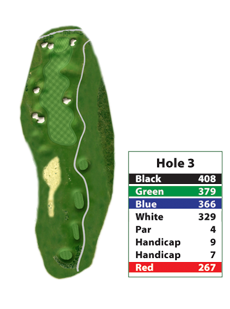 You can reach this really fun par 5 in two because it favors a fade. Aim down the left side as the fairway will kick everything right. Keep in mind that the green is elevated. Play safely along the left side; danger lies to the right. 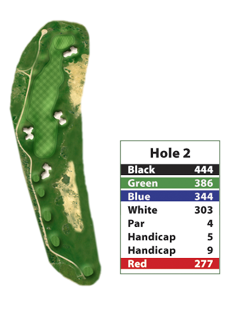 This short par 4 requires precision from the tee; scattered bunkers abound. If you can avoid the beaches, the rewards are yours for the taking. 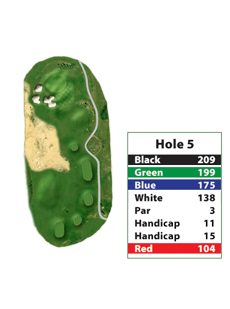 A long iron or fairway wood leaves a short iron approach to a green guarded by a lone bunker on the left. This great, difficult, but picturesque par 3 has no safe side as it is protected by a massive bunker! Just get up, take a deep breath and knock it on! Proper club selection is a must as you’ll probably need one more club than the yardage dictates. 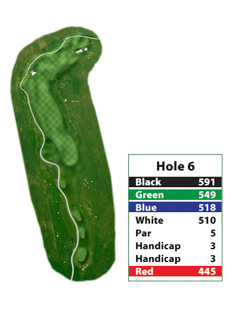 This par 4 offers a super finish to your trip around the front. Drivers should favor the left side to allow for the humps and the bumps! 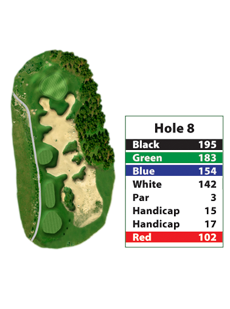 Your approach requires accuracy to a large green protected by bunkers on the right side.